One hour lessons in my home or yours, with a minimum of 3 lessons per dog. Meeting at a park is also an option, especially if you have a dog that likes to drag you instead of walking next to you. Parks are also good for working dogs through distractions. Lessons are at least one hour long. 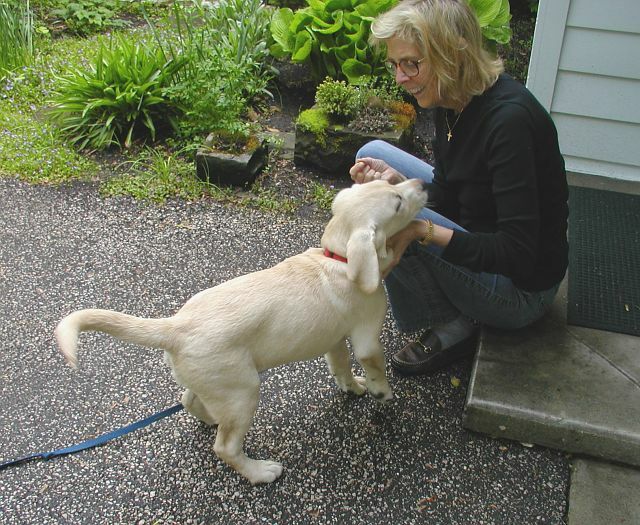 Your dog will learn basic obedience cues and will walk nicely on a leash. Additionally, any behavior issues will be addressed and a complete treatment plan will be designed to deal with and resolve these problem behaviors. My goal is to help you outline what rules are important to you, and then to implement a plan to create the desired outcome. I can never guarantee rehabilitation of behavior problems before seeing the dog in person, but I do guarantee that I will not turn away any dog, regardless of size or personality. If you are dealing with aggression or just plain old bad manners, you deserve to obtain the knowledge that will help you resolve these issues and allow you to fully enjoy life with your pet. Please contact me for further details and rates.